Pictures From The 41st Annual March For Life In Washington, D.C.
Braving frigid temperatures, tens of thousands of pro-lifers marched Wednesday to mark the 41st anniversary of the Supreme Court’s abortion decision Roe v. Wade. The media continued its annual tradition of ignoring or downplaying the march with weak or non-existent coverage. To give but one example, here’s what Huffington Post reporter Jennifer Bendery had to say about this year’s march. Now, according to Ms. Bendery’s Twitter bio, she covers “the White House, Congress and the space in between for The Huffington Post.” This march could not have been more literally in the space in between the White House and Congress. Marchers literally marched from just East of the White House to the Supreme Court … passing by the U.S. Capitol. There might be no better example of a political event that takes place between the White House (currently occupied by one of the most radically pro-choice stalwarts ever) and Congress (currently discussing whether federal funds should be used to kill unborn children). Ms. Bendery tried to backtrack by saying her tweet (about how well pro-lifers clean up their garbage relative to other protest groups) was not meant to be terribly meaningful. She “never planned to go — popped by the Mall after other activities and was surprised it was empty.” Because she showed up hours after the end of the march, I guess. 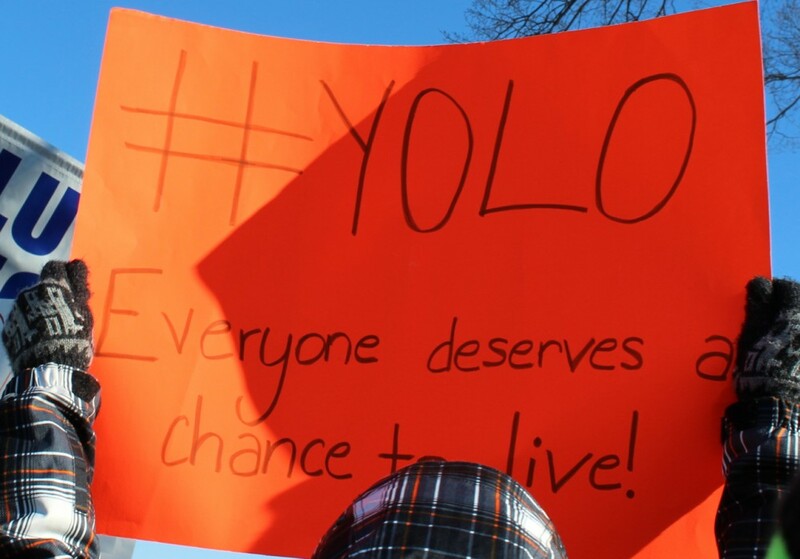 In any case, here are some pictures from the 41st annual March for Life. Weather is never that great for this march, which takes place on the January anniversary each year, but today’s temperatures were blistering cold and came in the wake of a snowstorm that kept many protesters from driving in. Still, as Hanover’s image shows, the crowds were what would normally get noticed by the media if they weren’t so in the pocket of Planned Parenthood and the abortion lobby.